The Angel of Death's Abyss is an historical fiction novel written by Craig R. Key. Corporal David Brandt had survived the Normandy landing in 1944, and while no one would have questioned his decision to take some time off, particularly since his sister had been stricken with polio, he was determined to accept the task assigned to him. They would be stationed in a small village near Auschwitz; it was to be a monitoring exercise at most. Brandt’s patriotic fervor and dedication to his fellow soldiers warred, however, with his fear of dying. He had come so close, and nightmares still plagued him. When he arrived in Poland, he was greeted by Staff Sergeant Welch, who began to give him a tour of the village. Welch had told Brandt not to worry about carrying his weapon, as there was no expectation of hostilities, but, as he spoke, Nazi ground troops appeared out of nowhere and began decimating the US soldiers. Private First Class Jones grabbed Brandt’s collar and began dragging him to safety in the village chapel. While they returned fire on the way and managed to kill their share of Germans, the ambush had left few of them alive. 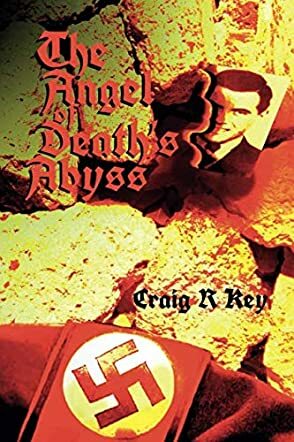 Craig R Key’s historical fiction novel, The Angel of Death's Abyss, is a thrilling and fast-paced military story about Brandt and his fellow soldiers’ attempts to escape their Nazi pursuers through a series of abandoned tunnels underneath the Polish village where they were stationed. Key’s plot is intricate and detailed, with the atrocities committed by Dr. Josef Mengele posed center stage throughout the story. Mengele was particularly interested in experimenting with twins, and the thirteen-year-old twins, Nadia and Klaudia, had been his victims. Through Klaudia’s story, Key shares the horrors those experimental subjects went through. His story also addresses PTSD, though that disorder had not yet been recognized as such. Key’s story is well written and dynamic, sharing the horror of war that persisted even as the war was winding down. His characters are compelling and unforgettable, especially Brandt and Klaudia. The Angel of Death's Abyss is most highly recommended.